Sr Doris Testa addressed an evening organised by Church Resources and CathNews to support the Year of Consecrated Life at ACU, Melbourne on May 19. This is her Reflection on religious life - and its possibilities. I acknowledge the Elders, families and forebears of the Wurundjeri people of the Kulin Nation who were the custodians of this land for many centuries. I also acknowledge the Brigidine Sisters who have walked and struggled the path before me to leave a legacy of Gospel discipleship to call on, to embrace, and from which I draw inspiration, example and wisdom. Thank you to those who are here tonight, (you have) my constant admiration. I have ten minutes to share some thoughts on how I, an Australian Maltese woman, born in Melbourne's western suburbs found herself in the life choice named as religious, specifically, as Brigidine religious.I will also share some thoughts on my dream for the future of religious life. Maria Chin, Mercy sister, reminds us all that there are "men and women who yearn to respond to God's invitation to embrace mystery and discover the meeting place of the world's deep hunger and their deep impulse to care and do the transformative work of the Gospel." I like, your good selves, am numbered among those who yearn still to respond to God's invitation and to travel the dangerous Gospel path of transformative justice. This call to mission began for me in the Brigidine Congregation 35 years ago, in 1980. That year, 1980, there was an assassination attempt on Pope John Paul II; tJohn Lennon was assassinated; a new plague named AIDS entered the collective lexicon; 1980, Australia's first test tube baby was born; when Azaria Chamberlin went missing from Uluru; when Richmond beat Collingwood in the Grand Final. These events were both backdrop and beckoning. As a young adult, already graduated as a teacher and teaching within the Catholic Education system, I wanted to make a difference in the world – the Gospel beckoned. My impatience for seeing right done and for believing that education was central in the work of justice informed how I would shape days into the years. I had caught this Gospel yearning and impatience in my formative years from my parents and later I had learnt this from the Brigidine Sisters who had selflessly served the people of my suburb, parish and community of West Sunshine. It was they, these ever- cheerful and ever-available religious women who witnessed Gospel service at a time when resources were scarce, when migrant families dreamt big for their children, and when the bridge between these dreams and the realisation of these dreams was the education offered by the Brigidine Sisters. Indeed, as a young person, the charism communicated by the Brigidine Sisters captured my imagination as well as my curiosity. Feminists before the term became fashionable, these women lived mission and ministry as Pope Francis exhorts today – cheerfully and amongst the most disadvantaged. It was one simple act of service, by Mother Mauras, my grade three teacher, who set me, unknowingly, in the decision to join the Brigidine Sisters. I can still see and feel this act. Mother Maurus waited each morning, at the door of our classroom, with a warm bowl of water and a towel at her elbow, greeting each of us and washing and warming our hands in readiness for the day's learning, as we walked ourselves, in our scuffed shoes and noisy chatter through the classroom door. This simple, yet profound Gospel act of servant discipleship, still tattooed on my psyche and echoing the Brigidine Founder, Daniel Delany's, words: "Do ordinary things, extraordinarily well." It is this simple edict that I think captures the Brigidine mission and ministry – to read into the ordinary circumstances of life and speak into them, with commitment, energy, with hope and with determination, the transformative and often simply extraordinary work of Gospel justice. When I joined the Brigidine Congregation, the Victorian community numbered in the two hundreds and in the four hundreds worldwide. Today, Brigidines number 210 worldwide, the Victorian community numbers 83 with the average age of 73.6 years of age. It is the only group in which I can claim to be the second youngest! As a Brigidine Sister of 35 years, I have been challenged as I have worked in education, in child protection, in Church organisations and in State organisations, always sent, in the name of Brigidine, to do the work of God's mission. With one eye on structures that disadvantage and alienate individuals and groups of individuals, I - in the name Brigidine - use the privilege of my own education, the generosity of the Brigidine community's resources, and the opportunities that come from that privilege to speak and work in defense of those disadvantaged and alienated. The task of the 21st century religious, is as old as Jesus' words: It is always the task of ushering in God's reign. It is in these places that religious life rolls up its sleeves and does the ordinary but extraordinary work of God's mission. Today it is right that much of the traditional Brigidine ministries of the 80s and 90s have been handed over to our disciple partners – School Boards, Stewardship Councils, Kildare Ministries, so that we, together with them, can shape new ministries and new Gospel witness. Today, it is right that we, an aging religious group, have had to adapt to the years and redefine our mission. Today, I see my Sisters listen to the pain of our Earth and lead, with our lay partners, an evolving Earth Spirituality. I see my Sisters advocate for the politically demonised Asylum seekers, standing side by side with other Agencies and collectives demanding dignified justice for God's displaced people. I listen to our Sisters who fashion new, evolving ministries for themselves and with others , as they become volunteers amongst other volunteers in welfare agencies, not as Sister, but as partner. And what of the future, what of my future, what of the future of religious life? Research finds that Religious Orders have a two hundred year life span. By that measure, Brigidines are an endangered species! But that's OK. Our mission is not omnipotence. Our mission, God's mission, is to live well and leave behind a Godly world and a Gospel legacy that becomes the DNA embedded in the values adopted by those who travel with us and come after us – our partners, our neighborhood communities. For my part, I have moved from working in a Catholic education setting into a mainstream University setting, still in an area and with students born of disadvantage. I lecture, research and write, sent and blessed by Brigidines. For the future, I wish a Church where religious men and women, in partnership with others, continue to advocate and agitate for a future that looks, and breathes and walks and talks inclusiveness on all levels. I dream of a Church wherein the word 'patriarchy' and 'clericalism' is banished and women are invited to the table as right and not as privilege. I wish a Church where religious men and women, in partnership with others, are disciples who continue to advocate and agitate from the margins of society and are happy to be there, not because it is comfortable – that will never happen, but because it is where the Gospel's transformative justice takes shape. I want a Church where the term "consecrated life" is not only ascribed to Religious men and women, but is embraced as a term that belongs to all disciples – since all are made holy by their courageous outspokenness in the face of injustice. I wish a Church where religious men and women, in partnership with others, continue to advocate and agitate and raise our voices to scream that it is unjust that in Australia we spend more on pet food than we do on foreign aid. Finally, religious life in the future, even if it survives, will be as it was in the beginning, a rabble of people, restless to inhabit the mystery of God's reign of goodness. In Thomas Moore's words we are "floating towards home, we are not an evolution toward perfection." So let us float, you and I, empowered by each other's faith and living in each other's missionary commitment. As Daniel Delany wrote "What you are, others who come after you will be." 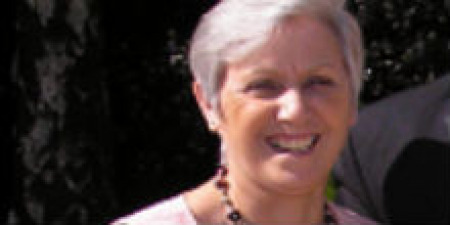 Dr Doris Testa PhD, MSW, BSW, Cert Ed Law, Grad Dip Student Guidance and Counselling, Grad Dip Religious Ed, Dip Teaching, is Senior Lecturer and Academic Leader Field Education, College of Arts. For thje final Evening in support of consecrated life, in Brisbane on June 16, please find details here.